Goodness....it's been a week again! It seems I stay too busy to create or do anything blog worthy recently. Life is good though so no complaints from me. I do hope to find some time in the near future to craft or create something though! I haven't even done much thrifting lately either. I do want to introduce you to Lucy today though! No...I didn't get a new pet or anything like that, but, as some of you may remember me mentioning, I did get a new vehicle. And....here she is! I just love her! I had been driving a 2001 Ford Expedition for the past 11 years and it was giving us a little trouble, had a lot of miles on it and was just too big for me since my kids are grown up now......so, we decided to go ahead and upgrade. 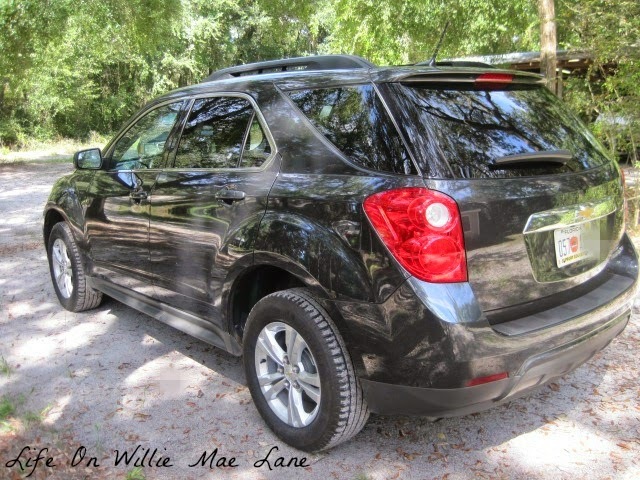 I bought this pre-owned 2014 Chevy Equinox LT. It is so nice and like brand new....even still smells new! Here she is from the back. 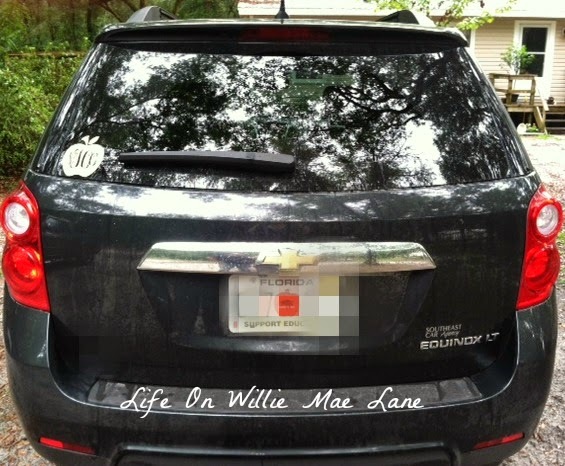 My education license plate even looks great on her. She's a girly girl with her gold bow. I just love it....gold is my favorite metallic as you may know. Here's the inside. 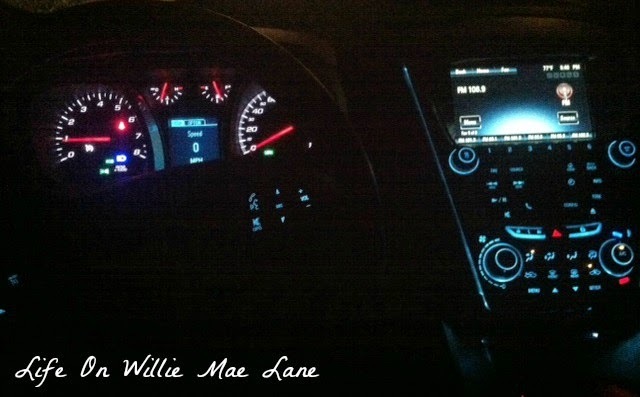 I am thrilled with all the features she came with....back-up camera, blue tooth, OnStar (if I subscribe), and many more. The blue tooth is so nice and saves me having to use my hands and take my eyes off the road to dial my cell phone. I just press the button on the steering wheel and give it a command and it dials for me. The radio stops playing and the person I am talking to is on the speakers. So cool! Oh...she gets great gas mileage too...something my old vehicle did not. 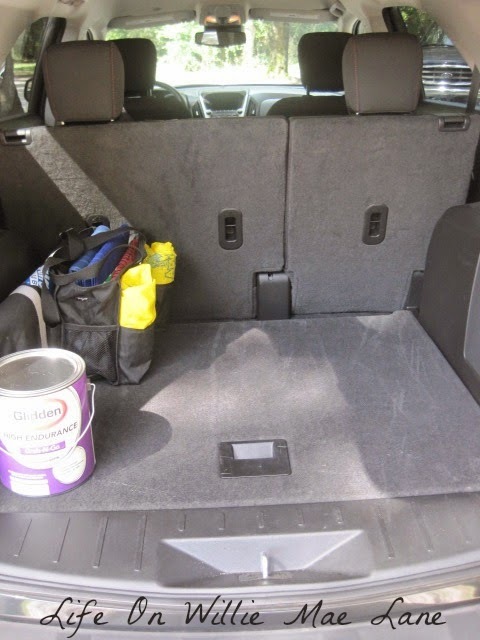 Here's a shot of the trunk area. 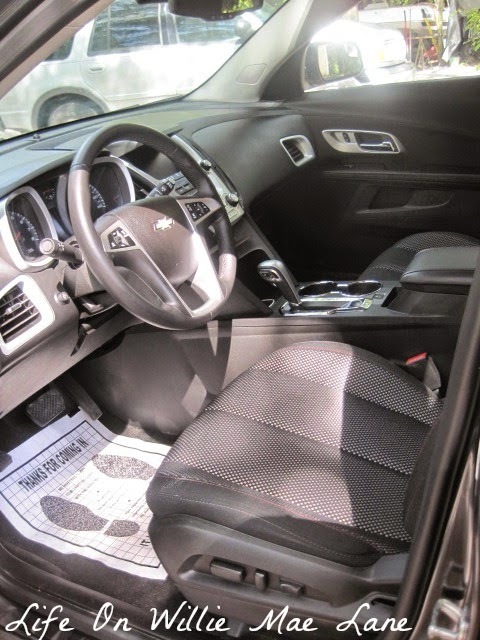 It is very spacious. I have a can of paint there that I have to exchange...got the wrong kind. Hopefully we will get back to working on the house soon. We really want to finish the living and dining room trim and doors before the holidays. 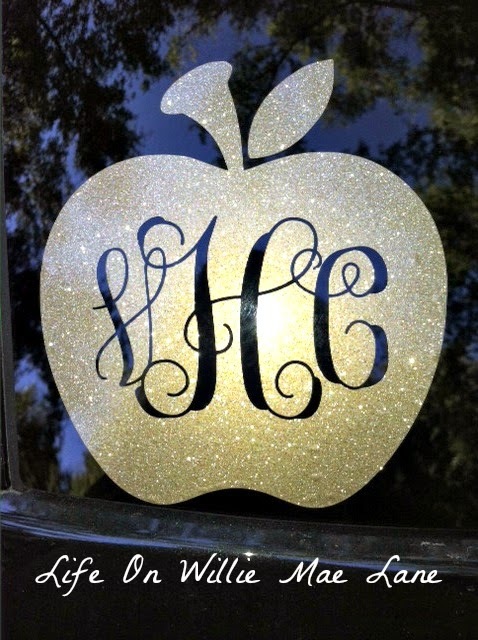 I ordered a monogram to put on the back glass. I was just going to get my initials, but while browsing Etsy, I found this apple one for teachers. I fell in love...:) I ordered the gold glitter and it is perfect! I wish I had something more to share. Hopefully soon! I do plan to run to the thrift store before my Dr. appointment tomorrow after school. I've had a $10 loyalty card filled up for over a month, just waiting to spend it. I only hope I find something on my list or something I need since I am trying to be much more selective in my buying. If I get something good, I'll share soon! I pray each of you has a blessed and beautiful week. Can't believe it's been two weeks since I last posted! Life sure gets busy when the school year begins. Nothing too exciting going on around here right now, but I thought I would share a few things I have bought/received recently. First up are a few crafty things I found at Tuesday Morning a few weeks ago. They have such awesome prices and nice, quality items. 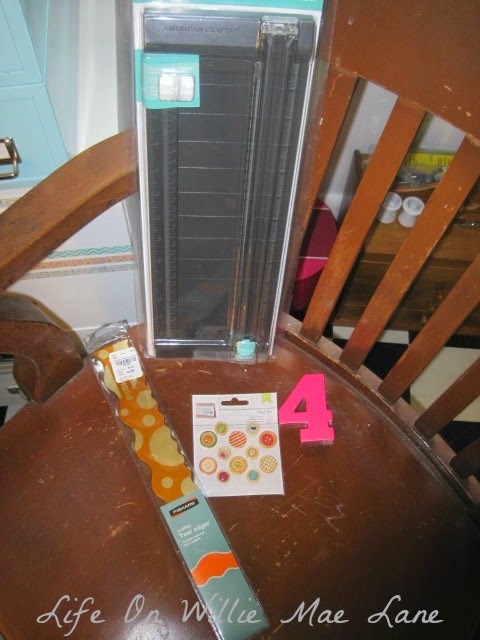 I bought a paper cutter...I needed a new one for home. I also bought a tool to use for torn paper edges. I have been wanting one of those. I couldn't pass up this cute little number 4, since it's my favorite number. I can easily repaint it! 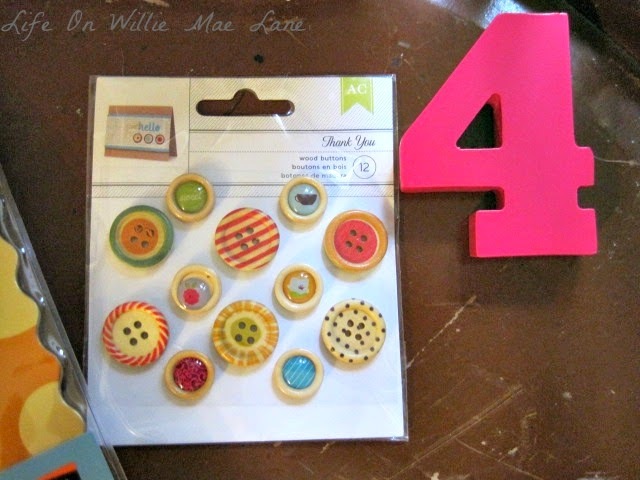 And I just fell in love with these cute buttons! 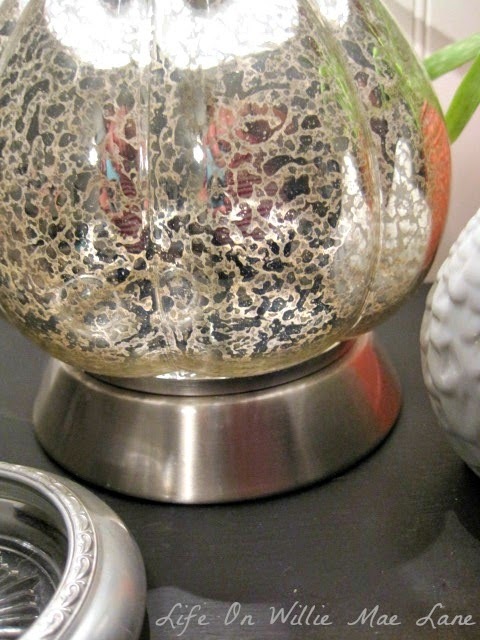 Last weekend, my friend Jeana and I went out to dinner and did a little shopping and I was thrilled to find a small mercury glass lamp. I have been looking for one for weeks for my living room. This one was perfect in every way! I found it at TJ Maxx. 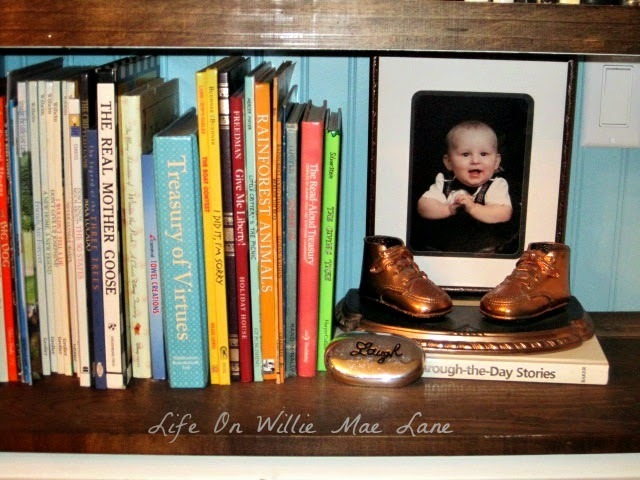 Here it is on the black cabinet in my living room...love! 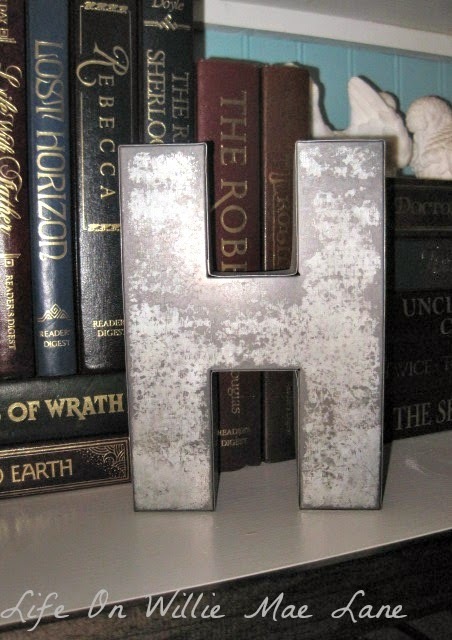 I also found a galvanized "H" at Michael's. I have a hard time finding the letter "H". It must be one of the more popular beginning letters for last names. 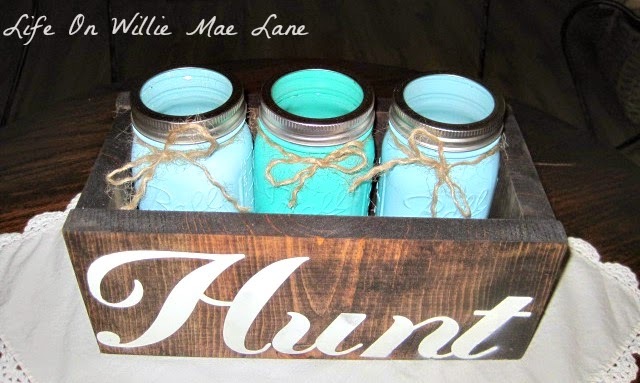 It holds three pint sized painted mason jars. I can't wait to put some fresh flowers in it! I also finished my book.....and it didn't disappoint. It was a little different for this author, but after I read the end, I totally understood why. 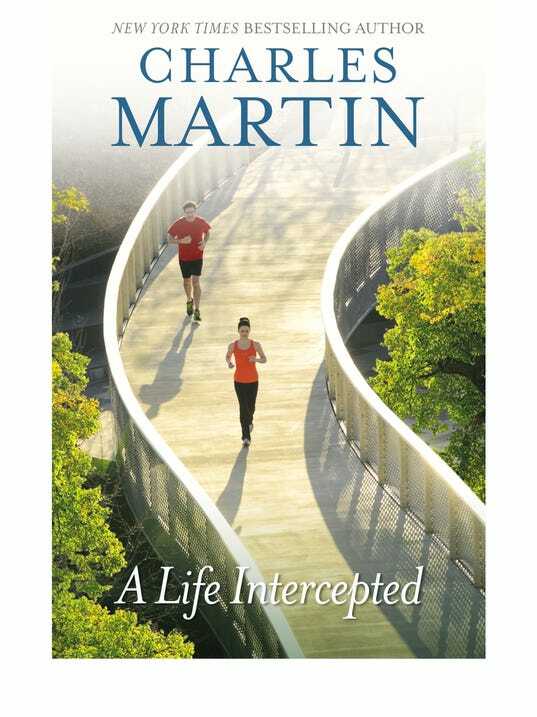 I highly recommend him, but I would start with his older novels first. It has been such a beautiful weekend, even though it rained half the time. My daughter, Miranda was home for an early birthday celebration and we had such a nice time. Yesterday, we had a yummy Mexican dinner (Miranda's request & prepared by yours truly) at my mom and dad's house. My mother-in-law and her new fella, and my sister and her family were there. Mama made mini cheesecakes with blueberry topping and my sister made Nutter Butter pies. I made pork carnitas, spanish rice, refried beans, chips and queso, and of course fresh guacamole and pico de gallo as toppings for the tacos. It was pretty tasty! It was excellent! I only wish I had read the book first. We had a nice ride over to watch the movie in my new vehicle. I haven't mentioned it yet, but I got a new (to me) vehicle last Thursday. I was driving a 2001 Ford Expedition and it was beginning to give me a little trouble. I didn't trust it to drive it off very far which isn't good since Miranda lives in Tallahassee....2 hours away. It was also too big for me since my kids are grown up and it was a gas hog! So, my hubby talked me into going to get a new vehicle. 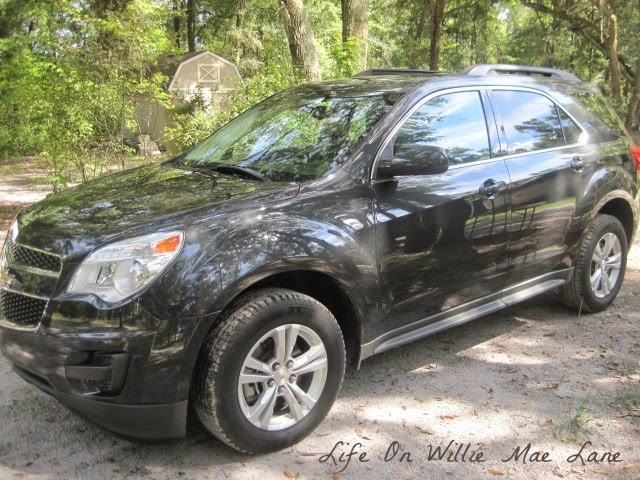 I bought a 2014 Chevy Equinox. It was pre-owned, but is like new...even still smells new. I will share a few pictures soon! 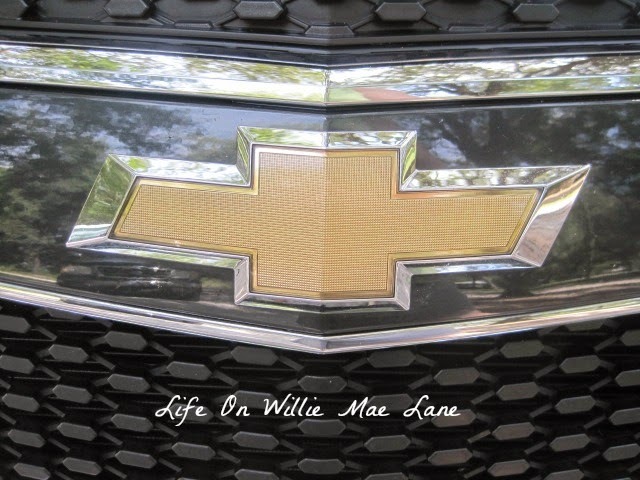 I am loving it and am blessed to have been able to get it. I know it might not appeal to everyone, but I LOVE it! It represents my family and I very well. I plan to add to it over time, but this is my start. 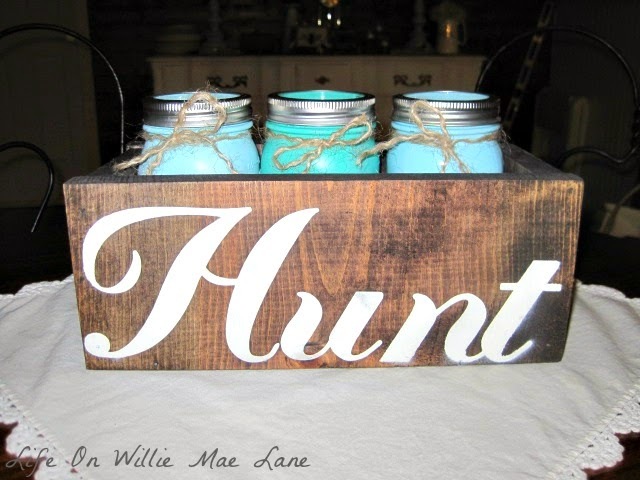 Of course the big H is for our last name....Hunt. 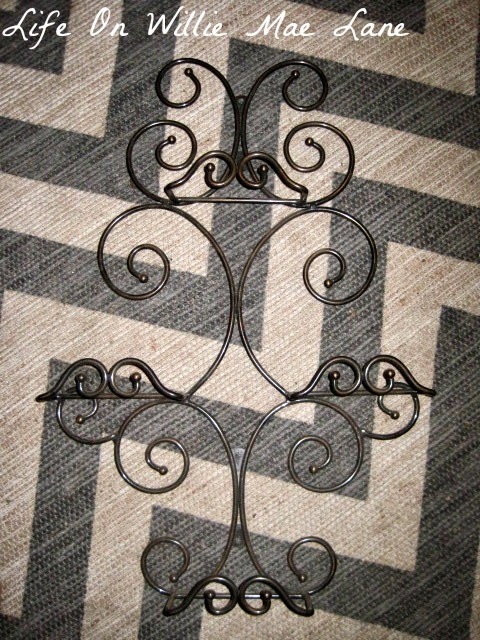 The small, silver trivet also has an H engraved on it. The Family is Everything picture in the blue frame was handmade for me by Miranda for Mother's Day. The 2+2=4 vintage flashcard stands for 2 parents, Joey and I, plus our two kids, Miranda and Dakota, equals a family of four. Four is my favorite number for that reason and you can see the large 4 at the bottom of the wall also. 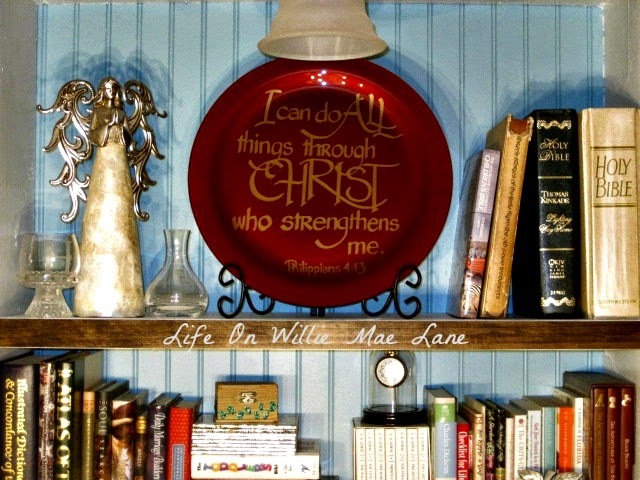 I hung a vintage clipboard from my craft room and will change out the quote or scripture on it occasionally...maybe seasonally. The cross is of course for our belief and faith in God. 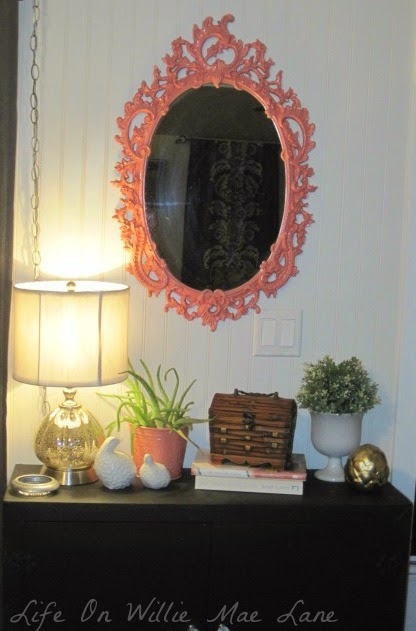 The coral mirror is just to add a splash of coral to the wall. The speed limit sign is antique. 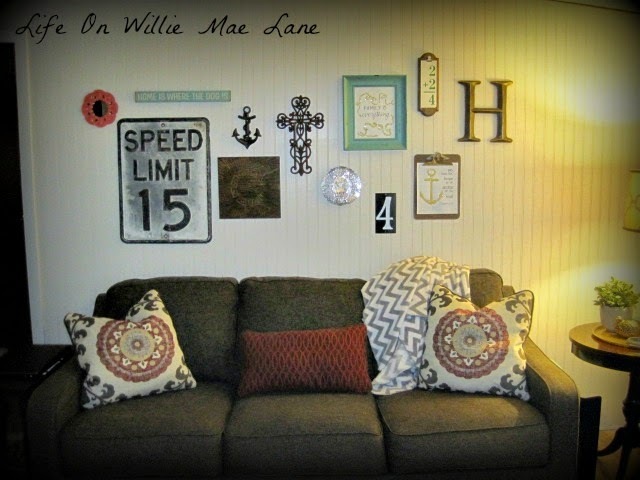 My hubby bought it home for his shop, but I quickly snapped it up for the house. 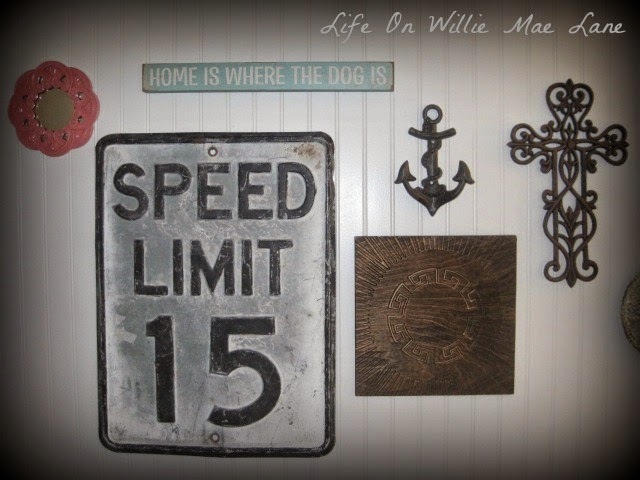 It reminds me of him...he is a slow and steady driver on the road, but loves to race cars on a track...:) I found the Home Is Where the Dog Is sign at TJ Maxx the other day and had to have it. I love that it is aqua blue too! 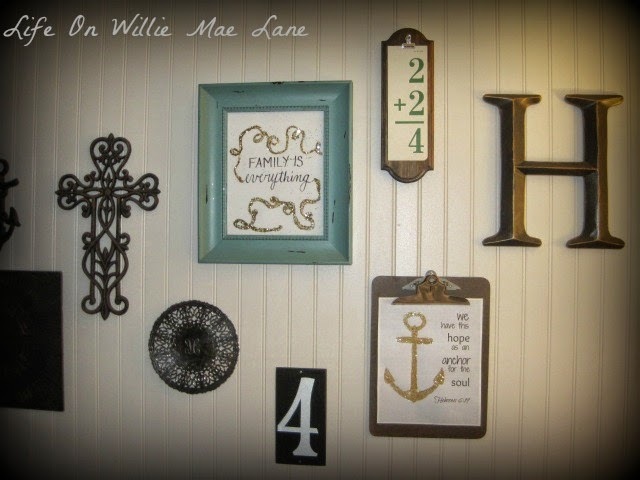 I bought the anchor at Hobby Lobby when I got my cast iron brackets for my shelf. I love anchors! The wooden piece is something I found at the thrift over the summer and thought it was cool. 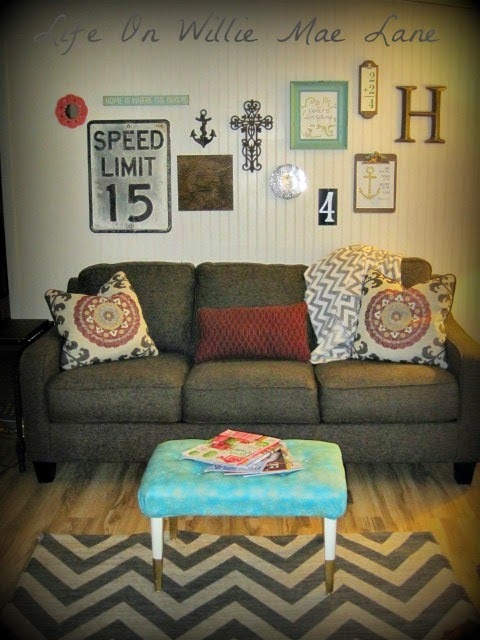 I planned to do something with it, but after I stained it to match our plank wall, I just left it plain. I like it like that. What do you think? I really love it and look forward to finding meaningful pieces to add to it. I suppose I should go prepare lesson plans for the week. I am feeling rested and content and ready to tackle a new week with the kinders! I pray you all have a lovely week. 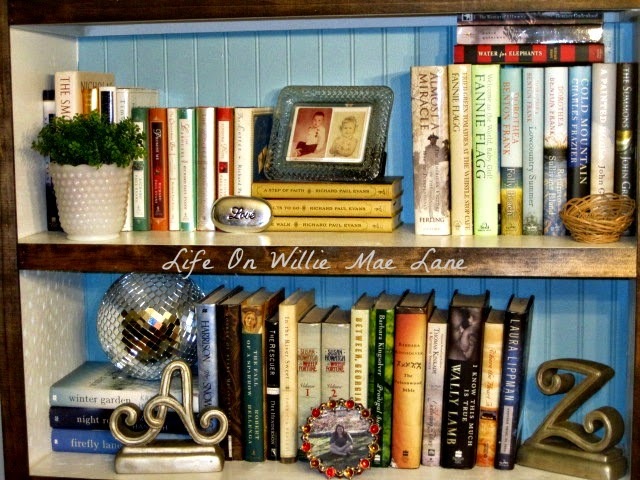 A Bookshelf is Not Just for Books! Hello friends. I decided to squeeze in time for a post this evening...even though I really should be working on things for school. I need this though...it's a release for me to type up a post and share my life. 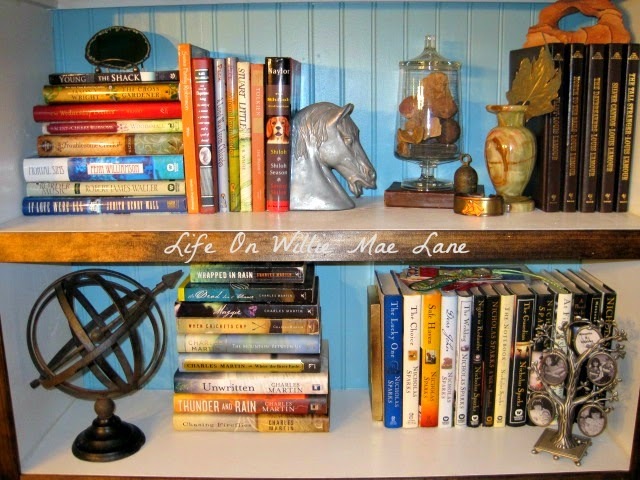 Remember when I shared my new built in bookcase? I believe it was in that post that I mentioned sharing close-up photos of each shelf. So, here I am on this lovely evening to do just that. Forgive the poor quality photos...it was night time when I took these and it is hard to get a good angle of some shelves due to the new chandelier hanging in there. Some of the shelves hold more than others, but I love them all. They hold some special memories. These are the upper right hand side shelves. The top one holds some children's books that belonged to my kids when they were little. My bronzed baby booties sit on top of a stack of Disney classics. 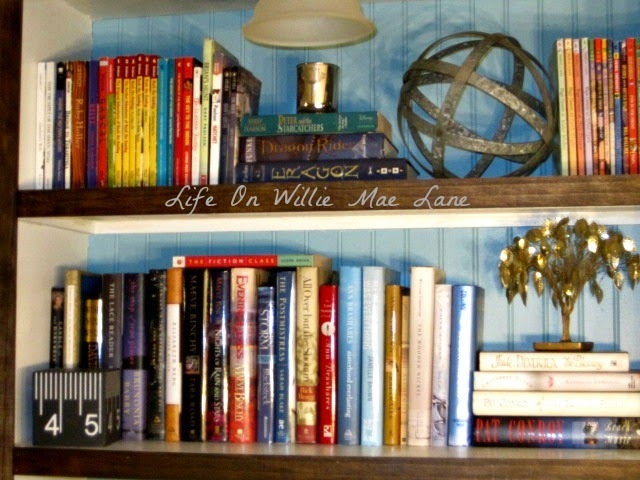 The second shelf holds many novels as well as a photo of my family at my daughter's graduation from Florida State University a couple of years ago. The flag frame holds a photo of Dakota and I on his 5th grade Safety Patrol trip to Washington DC. A replica of the Washington Monument bought on that trip stands beside it. 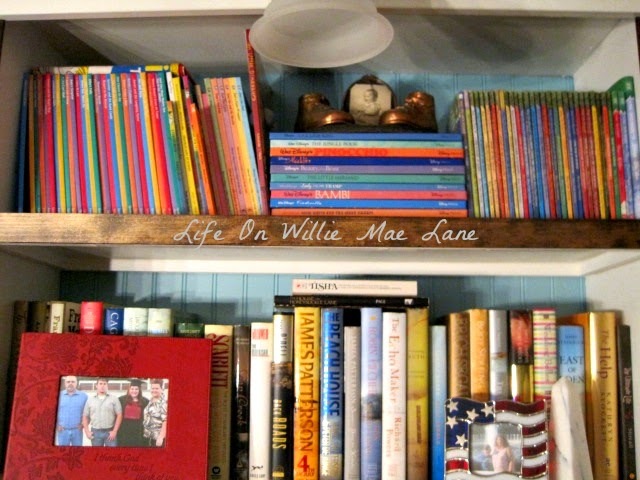 The third and fourth shelf on the right side hold a variety of things. The top one in the photo below holds more novels, a piece of stone purchased at the Smithsonian Museum in DC, a pewter horse head bookend, a jar filled with stones collected on my trip to Utah several years ago. My mom and dad bought the stone vase and red rock arch back to me from one of their trips out west. The leaf is one my Aunt Loretta brought back from Europe. 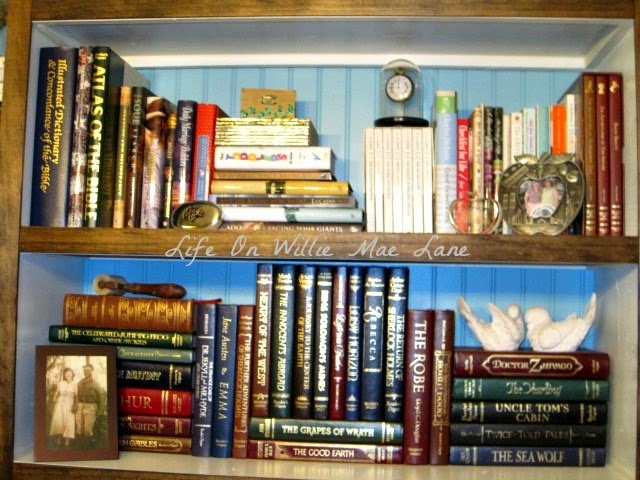 This little vignette is done around my western books. The shelf below holds my armillary and a pewter family tree with small frames filled with pictures of my kids. 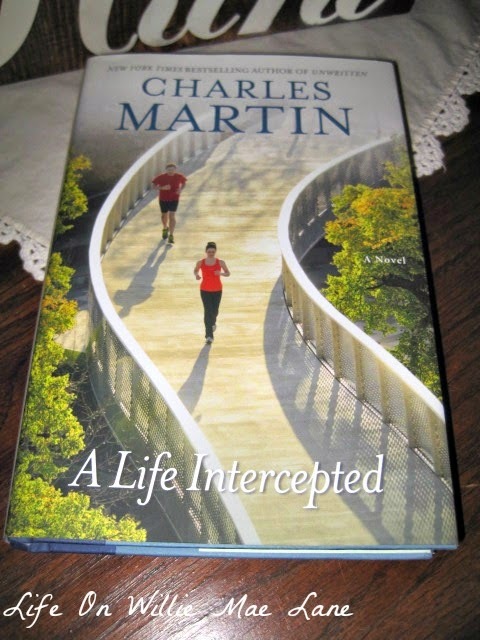 It also holds my favorite authors...Charles Martin and Nicholas Sparks! This is the middle, bottom shelf. 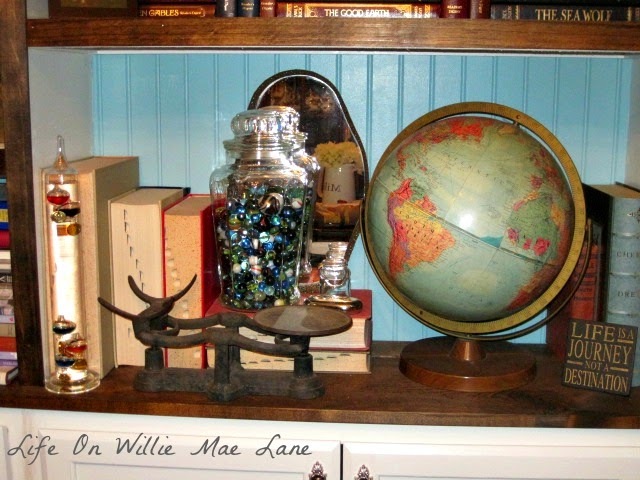 It holds a vintage globe, a jar of marbles, my Galileo thermometer, and a vintage ink well. The two shelves above it hold my classics, and my Christian books. My alabaster doves sit on top of my classics. 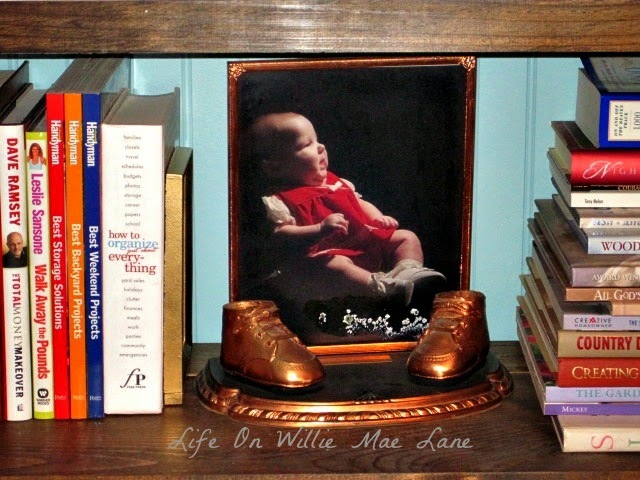 A framed photo of my Granny Willie Mae and Grandpa sit on the same shelf. My husband's grandpa's watch is encased beneath a dome and a glass apple with NYC inside sits beside a picture of Miranda and I on our trip to NYC when she was younger. We went with her Girl Scout troop...such fun! The little wooden box has leaves hand-painted on it by Miranda when she was little. Above that one is my angel, and a large plate with my favorite scripture on it. Miranda bought this for my office the year I took on the role of guidance counselor at my school. More kid's books and my galvanized orb on the top, left shelf. My little gold leafy tree sits atop a stack of books. The cube with the 4 and 5 on it is new...just bought it at Tuesday Morning over the weekend. The next two hold a frame with baby photos of the hubby and I, lots more books, and my A to Z bookends that my parents bought me when I graduated college. Love them! A garnet and gold jeweled frame holds a picture of my daughter sitting on lawn at FSU. And here is the same daughter as a pudgy 3-month old baby wearing the same booties that are bronzed. So sweet. Well, that's the tour. I'm sure a few little things will change with the seasons. I look forward to decorating them for the upcoming holidays as well. Prayers for a safe and beautiful end of the week my friends. Hello! I can hardly believe my 3-day weekend is coming to a close. It was such a nice weekend and I got a lot accomplished, and had some fun as well. I wanted to thank you all for the sweet comments on my last post. I'm sorry I didn't get to reply to them. It was my first full week with my kinders and it was an exhausting week. I was just too tired to get everything done, so I'm afraid I slipped on replying, but please know how good your words make me feel. I am loving my "new" spaces, even though they aren't complete, but I love hearing that other people think they look as nice as I do. You all are the best! 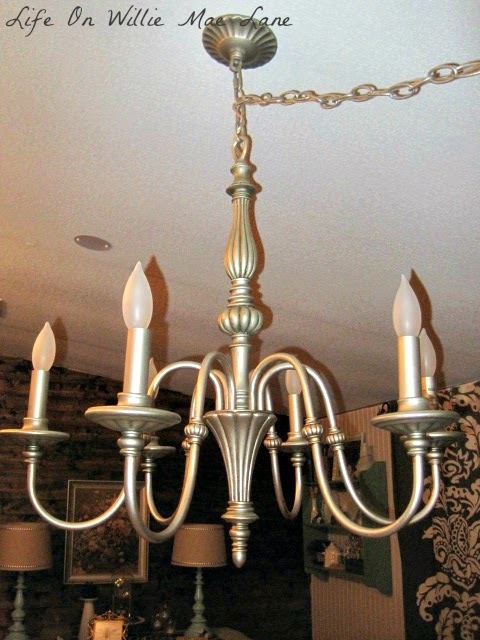 As for what I accomplished.....the hubby and I finally got my chandelier hung....love it! I'm debating hanging some crystals from it. We'll see! 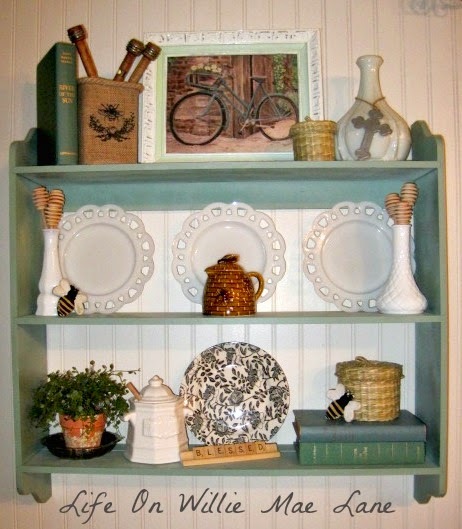 We also hung my shelf and I created some sweet vignettes on it. I'm looking forward to fall decorating, but am loving having my bee items back in place after being packed up for weeks! I also did a little shopping at TJ Maxx and Tuesday Morning and found some sweet things. 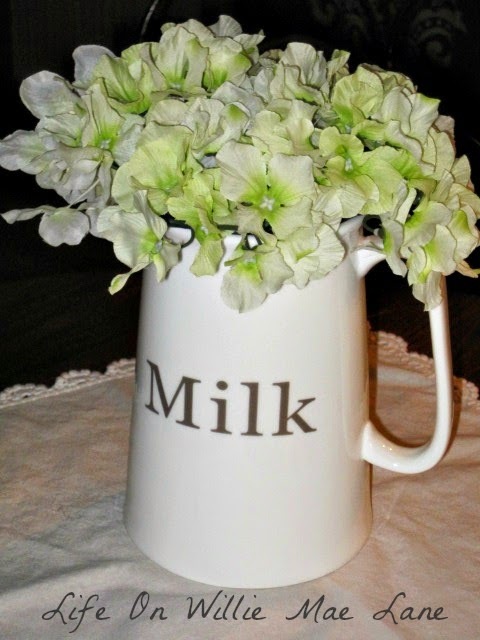 I love my new milk pitcher! I'll share the other things soon. I had a couple really tasty meals...one with my sister and two nephews at Longhorn Steakhouse on Saturday night and another with the hubby and son at Chili's today. 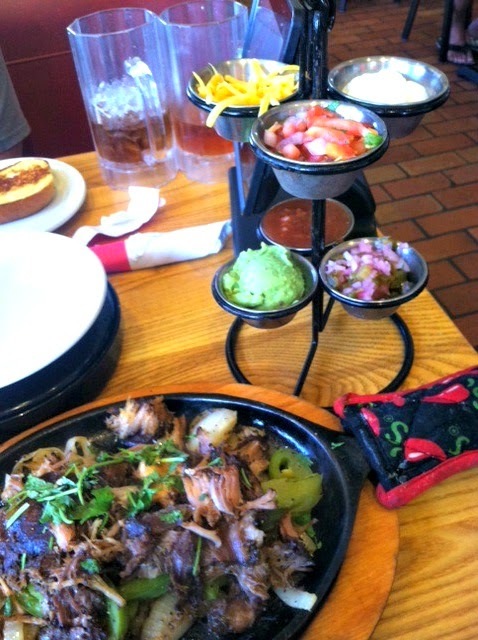 I love the pork carnitas fajitas from Chili's! So yummy...check them out. It was excellent...cannot say enough good things about it. 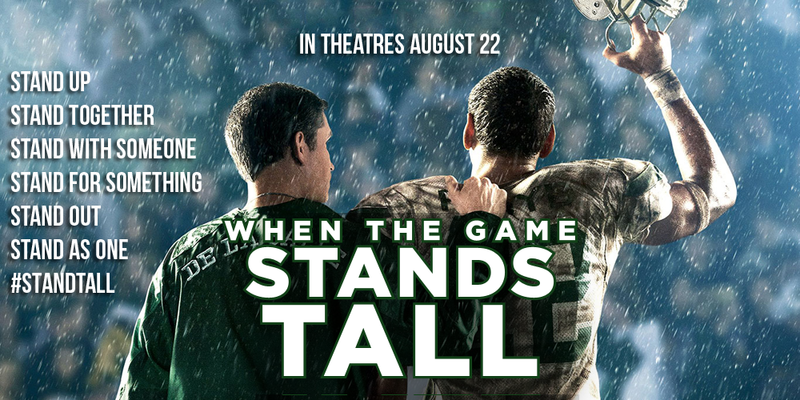 Sony Pictures says this about the movie......Inspired by a true story, WHEN THE GAME STANDS TALL tells the remarkable journey of legendary football coach Bob Ladouceur (Jim Caviezel), who took the De La Salle High School Spartans from obscurity to a 151-game winning streak that shattered all records for any American sport. I love sports movies and true stories, so this was a win win! So clean too...don't remember hearing even one bad word and even had scripture references throughout the movie. I will definitely be purchasing this one when it is released. I am happy to report that I also got a lot of junk cleaned out this weekend and am trying to get rid of stuff. We have a truck load of donations to haul to the Hospice Attic soon. Feels so good to purge! We also got one of the bedroom doors hung and trimmed out, just need to paint it. We cleaned out a spot in the shed for all of our supplies and tools to get them out of the house and my dining room is looking good. Still waiting for trim...hopefully in a couple weeks we can get started on it and finish it up this month. I cleaned out the guest room closet and reorganized my decor shelves. I did a few things for my classroom as well. Maybe there will be a next time...I really want to meet him and have him sign one of my books! 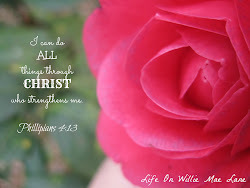 I hope each of you has a blessed and beautiful week. It's just a four day work week for me, so that's exiting. I'm even more excited to have my daughter, Miranda coming home this weekend for an early birthday celebration. She will be 25 this month! I can hardly believe it...time flies!